‘Young and the Restless’ Spoilers: Beth Maitland Shares Shocking News – 26 Year Marriage Is Over! The Young and the Restless spoilers and news reveal Beth Maitland, who portrays Traci Abbott, has announced on her social media that after 26 years of marriage, she and husband Christopher Banning split. 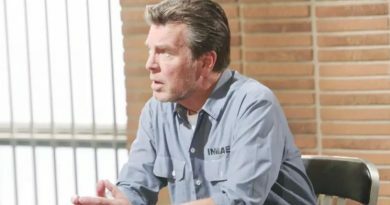 ‘Young And The Restless’ Spoilers Week of April 16-20: Free Jack Confronts Victor – Hilary Could Be Preggo! The Young and the Restless spoilers for the week of Monday, April 16 through Friday, April 20 reveal pacts are made as secrets are buried deep. ‘The Young and the Restless’ Spoilers: Hilary’s Got Morning Sickness – Baby News Ahead – How Will Devon React?